There have been 18 units sold in this building in the last 12 months. The last unit in this building sold on 4/8/2019. Click here to get the details of all closings in the last 12 months. 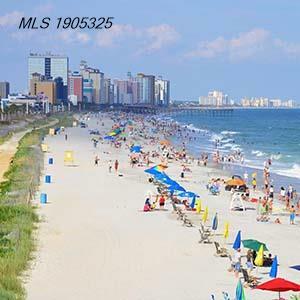 Myrtle Beach real estate is on the move! Witness the brand-new construction of the beautiful Village at Queens Harbour, the newest Myrtle Beach condos to hit the market. Located in a quiet, established residential neighborhood near Surfside Beach, The Village at Queens Harbour features 1-, 2- and 3-bedroom condo units for sale at pre-construciton prices. These units will have 9-foot ceilings, spacious floor plans owner lock-out storage rooms and screened balconies. Best of all, the rental demand for affordable residential properties is stronger than ever. If you're an investor or if you're considering a second-home, The Village at Queens Harbour may be just what you're looking for. Centrally located and convenient to a wide variety of things to see and do, The Village at Queens Harbour is minutes from The Market Common, Coastal Grand Mall, Inilet Square Mall and dozens of great restaurants in nearby Murrells Inlet. Welcome to the official CENTURY 21 Strand Group website for The Village At Queens Harbour condominium sales.